Sailboat Rentals in Merritt Island, Port Canaveral, Brevard County and Cocoa Beach, Florida. 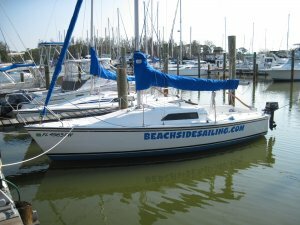 Our sailboat rentals are not only affordable but conveniently located for quick access to the Indian River, Banana River and Atlantic Ocean. Our sailboats can accommodate multiple persons, so please click here to ask about sailboat rentals or call (321) 624-5537 and book an excursion today!